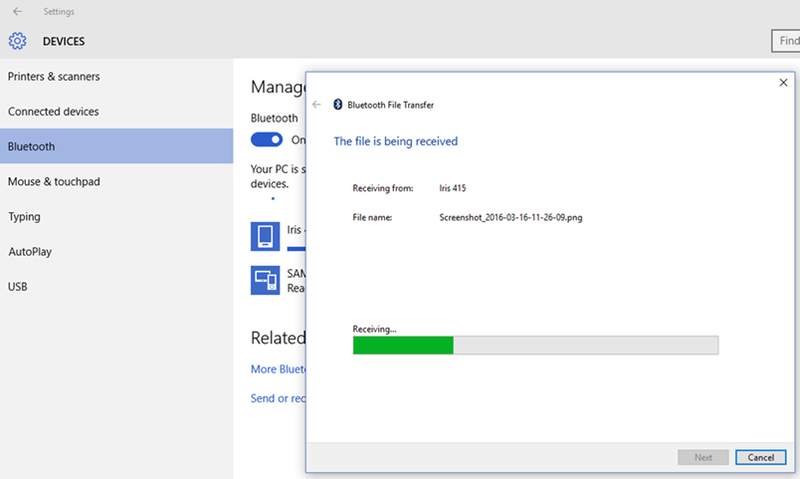 Send Files from Mobile to PC via Bluetooth and Viceversa: Are you looking to transfer one of your gorgeous photos from your PC to a mobile device? You can send any file either from your PC or laptop to mobile or a mobile device to a PC or laptop. There are some of the best ways to transfer files from a computer to an Android device and vice-versa. You can send files or data from one device to other in several ways. Some of the methods to transfer files from a PC to mobile device and vice-versa are using a USB cable, rely on Bluetooth or using cloud syncing. Additionally, there are some apps for transferring files from one device to other that include AirDroid, PushBullet, etc. It isn’t arduous to transfer files from Windows PC to Android device. In fact, it’s just as simple as transferring data from Android to Mac OS X. 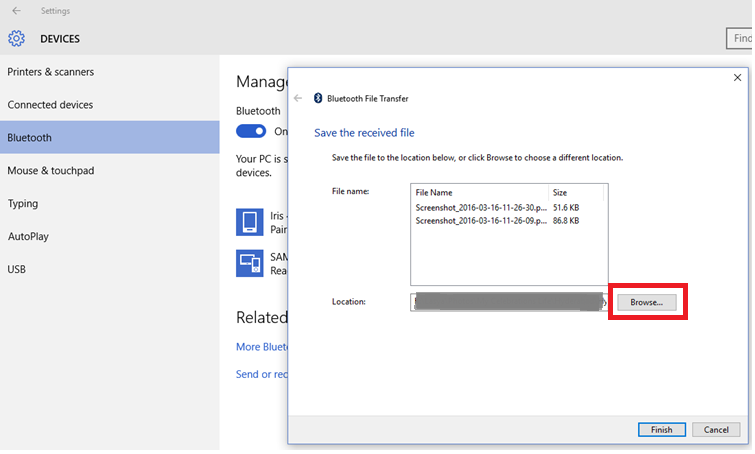 In this tutorial, I have come up with a detailed guide on how to send files from PC to mobile device via Bluetooth and vice-versa. 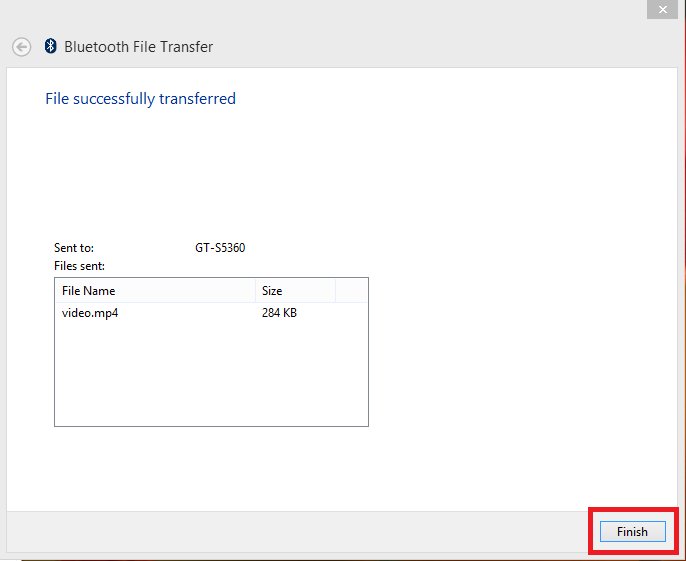 Check out the steps to transfer your important files from Mobile to PC and vice-versa via Bluetooth. 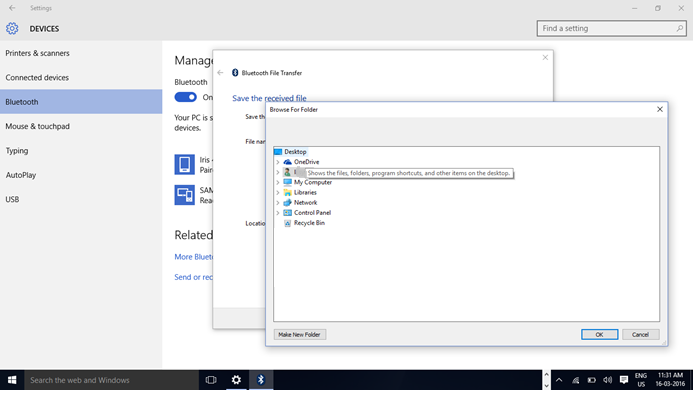 Here is a step-by-step tutorial to transfer files or other important data from your PC or laptop to your Android mobile device via Bluetooth. 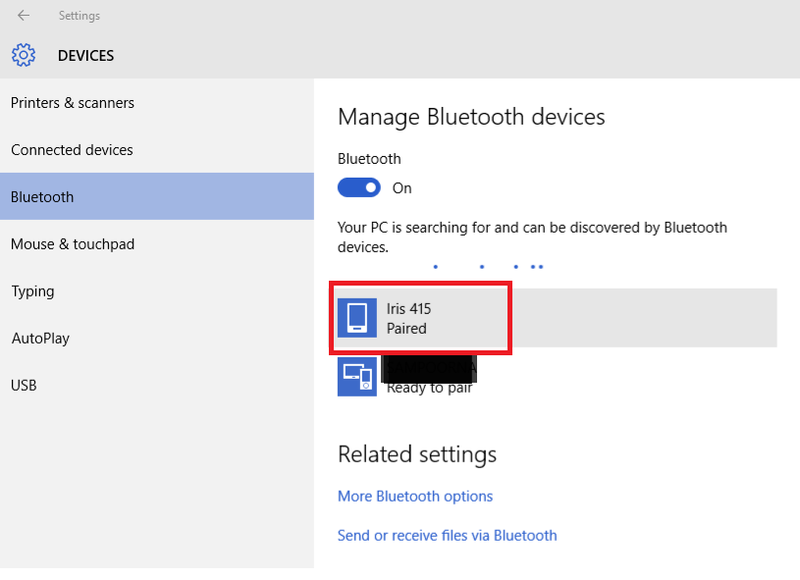 Before heading to the steps, you need to check whether PC or laptop is Bluetooth enables or not. Suppose, if you have a Bluetooth USB dongle, or your device has an inbuilt Bluetooth. Either way, transferring data via Bluetooth from Android to Windows PC or computer to Android device is an option. However, this is quite a sluggish process compared to other methods to transfer files from one device to other. 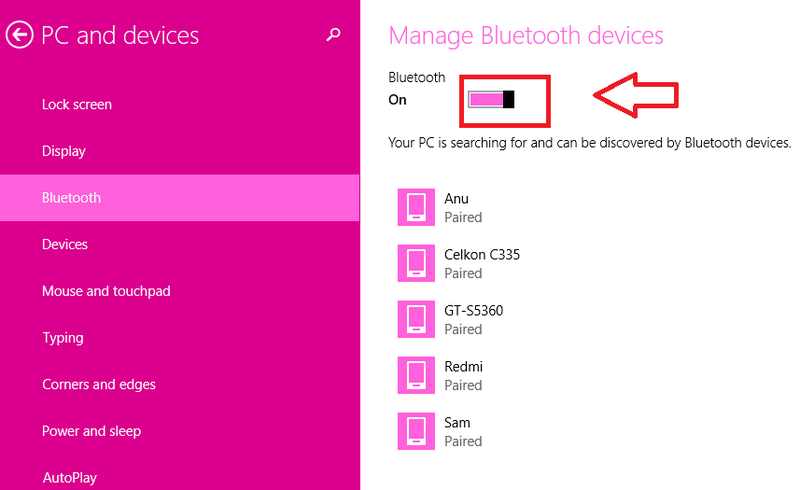 Initially, search for the Bluetooth option on your PC or Laptop. You will then get an option like “Bluetooth Settings”. Just click to open it where you can see an option Manage Bluetooth Settings. Below that, you can see Bluetooth. 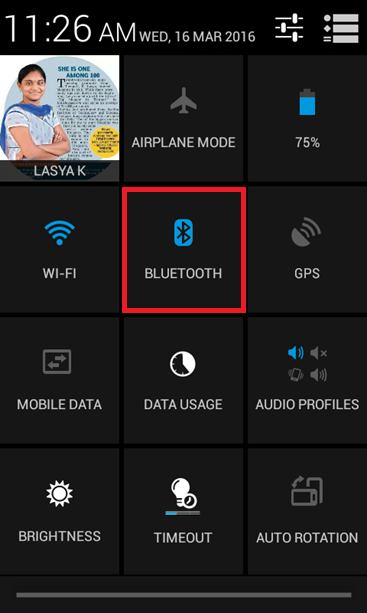 Enable the Bluetooth option by switching it to ON. 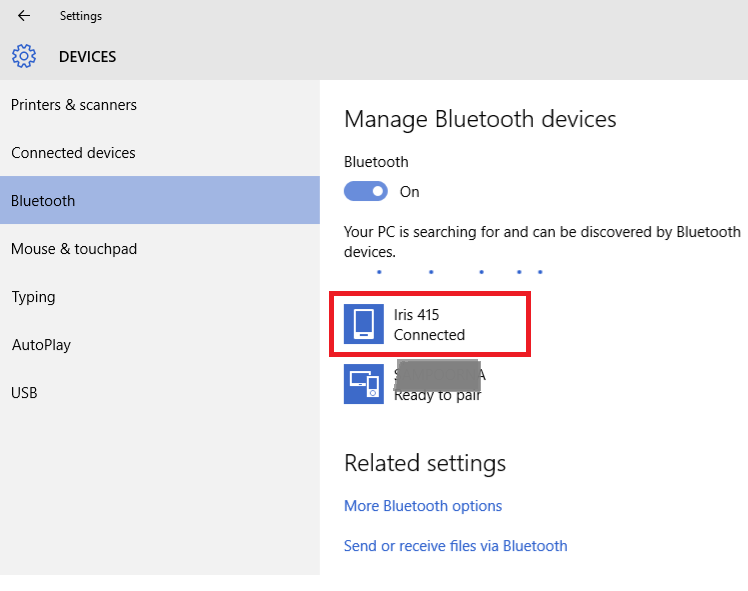 Your PC or computer will then begin searching for the devices that are discovered by the Bluetooth. It displays all the devices available nearby your location or workplace. Then check whether your Android mobile device is discovered by your PC or not. Once your mobile is discovered just hit on the Ready to pair button to get paired with your computer. If both your PC and mobile are paired, you can then go to the location of the file on your PC that you’re are trying to send it to your mobile. Then, right click on that particular file, you can see some options and scroll down to the ‘Send to’ button and just hit on it. 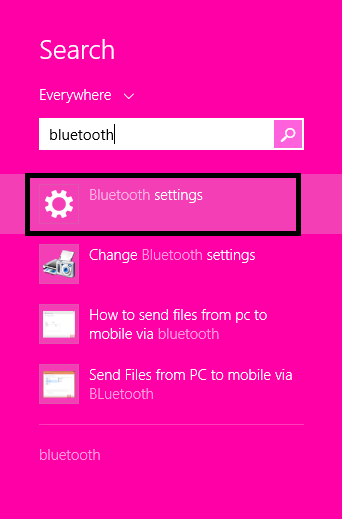 Once you click on the Bluetooth device, a pop-up window will be displayed with all the available devices listed. Pick the device to which you wish to transfer the file and then hit on Next button. Accept to receive the file on your mobile device that is transferred from your PC or laptop. Once the file is transferred successfully, just hit on the Finish button. The data will appear on your Windows computers in the Public folder, although it’s worth mentioning that there seem to be some stability issues with this method across Android devices, so we wouldn’t suggest depending on it. That’s it! This way you can send or transfer files from your PC or laptop to any of your Android devices. 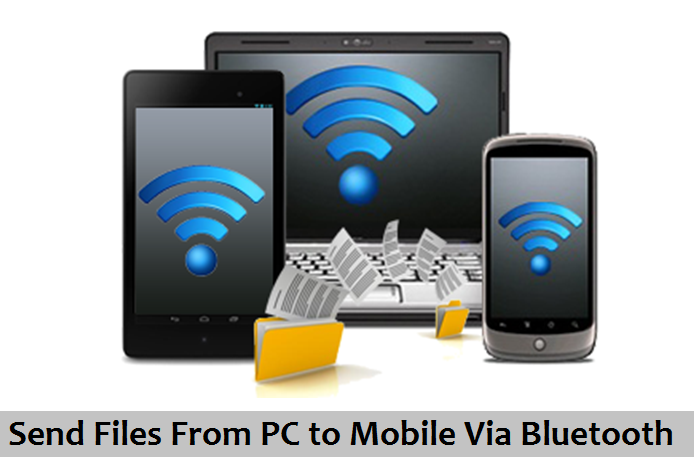 Till now, you’ve seen how to transfer files from a PC to mobile device via Bluetooth. 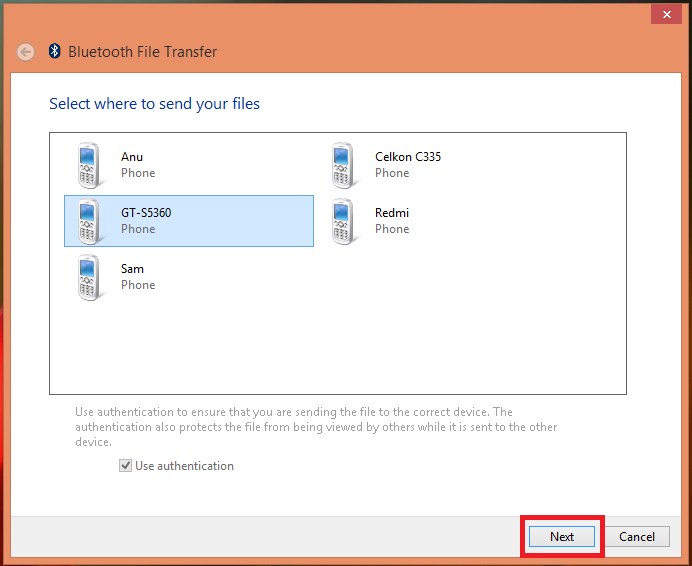 Now, this guide is on how to transfer files from a mobile device to a PC via Bluetooth. Just follow the step-by-step tutorial given below to transfer files or other important data from your Android mobile device to PC or laptop via Bluetooth. 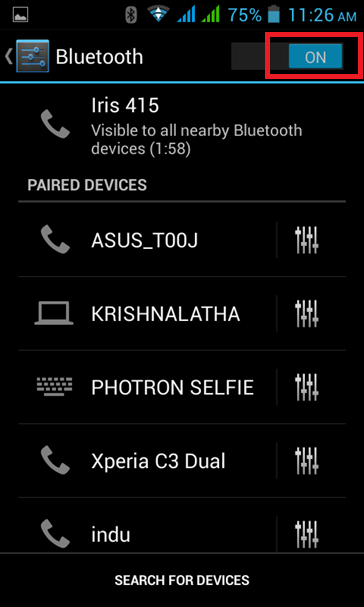 Initially, click on the Bluetooth option on your Android mobile device. Once you click on the Bluetooth button, turn ON Bluetooth on your mobile device and then you will get all the visible devices list on the screen. Pick the device that you wish to send files from your mobile device. Now, on your PC or laptop, (Screenshots are from Windows 10 PC). 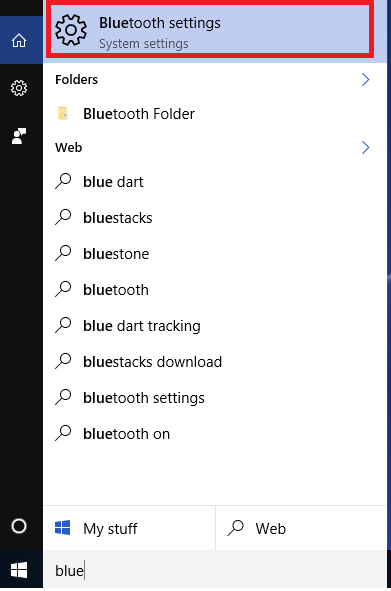 Search for the Bluetooth Settings. 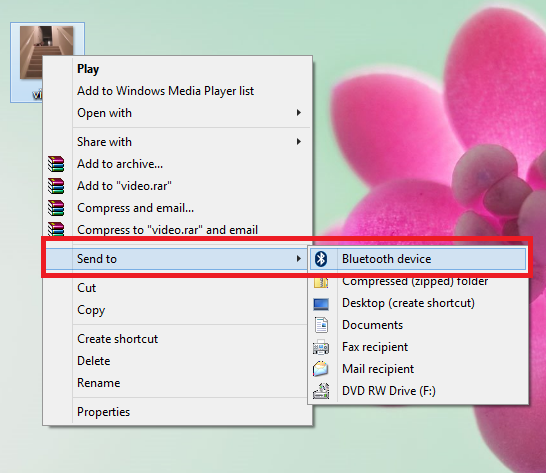 Turn ON Bluetooth on your PC as well and pair your Android mobile device to it in order to send the file to your PC. Once you click on the pair, both the devices will be connected over the Bluetooth. You will then get two options like, Send Files and Receive Files. Just click on Receive files button and then hit on Next. Then, browse the location wherein you wish to save the received file on your PC or laptop. You can save the received file on any of your destination folder on your PC. Once you choose the destination folder, just hit OK. The file will then start receiving on your PC from your mobile device. Once the file transfer is completed, you can then hit on the Next button. That’s it! This way you can send files from your Android mobile device to your Windows PC or Laptop. 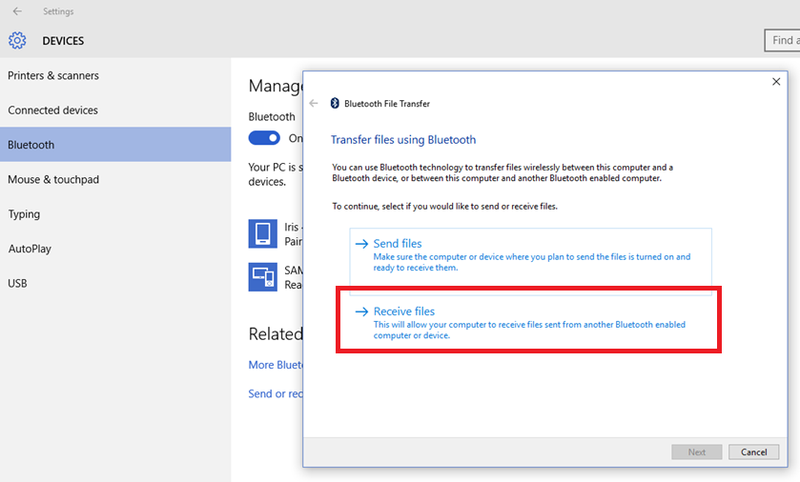 These are the two ways on how to transfer or send files from PC to mobile device and vice-versa via Bluetooth. Hope this tutorial guides you in the best way to transfer your desired files from your PC or Laptop to your android mobile device via Bluetooth.